Download a podcast of a radio broadcast to hear more about SPLASH Research. SPLASH (Structures of Population, Levels of Abundance and Status of Humpback Whales) is an international cooperative research project that was developed to understand the abundance, population structure, and potential human impacts on humpback whales across the entire North Pacific ocean. The SPLASH project represents the largest and most complete examination of humpback whale migrations in the world and has revealed a far more complex pattern of movements than had been previously documented. After five field seasons of collecting information on North Pacific humpback whales, the SPLASH project has moved to the data analysis phase. The project utilized consistent research techniques, such as photo-identification and biopsy tissue sampling, in both feeding and wintering areas throughout the North Pacific. The regions studied included: Asian wintering areas, Hawaiian Islands, Mexico (offshore, Baja and mainland), Central America, California, Oregon, Washington, British Columbia, Western Gulf of Alaska, Southeast Alaska including the East Gulf, Aleutian Islands and Bering Sea, and Western North Pacific waters off Russia. The SPLASH project was conducted from 2004 to 2006. To date, over 8,000 individual whales have been identified and more than 6,000 skin samples have been collected and await analysis. Recent project results have revealed that the overall population of humpbacks in the North Pacific is recovering and has rebounded to approximately18,000 to 20,000 animals. 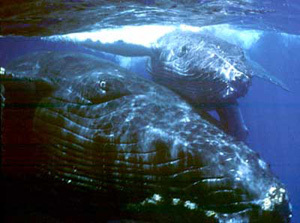 However, some isolated populations of humpbacks, especially those in the Western Pacific Ocean, continue to exist in low numbers. Visit the Cascadia Research website to download the executive summary or the fill report. Read about SPLASH results in a recent Nature News Article or read the NOAA press release. The SPLASH project involved over fifty research groups and over 300 researchers. The steering committee for SPLASH includes representatives from the following government organizations: Southwest Fisheries Science Center, NOAA; National Marine Mammal Laboratory and Alaska Fisheries Science Center, NOAA; National Marine Sanctuary Program, NOAA; National Park Service, Department of Interior; Canada Department of Fisheries and Oceans; and Instituto Nacional de Ecologia, Mexico; and several academic and non-government organizations. SPLASH project supporters include: NOAA Fisheries, NOAA National Marine Sanctuaries Program, National Fish and Wildlife Foundation, Marine Mammal Commission, National Park Service Glacier Bay, Commission for Environmental Cooperation, Department of Fisheries and Oceans Canada, Pacific Life Foundation, Marisla Foundation, and World Wildlife Fund.